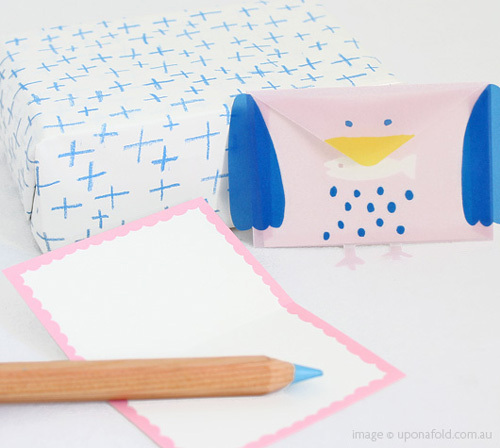 Minicard Trio card set includes three adorable bird envelopes (the blue one looks like an owl) with a folded blank card inside that can be used for writing a letter, invitation or as a gift card. 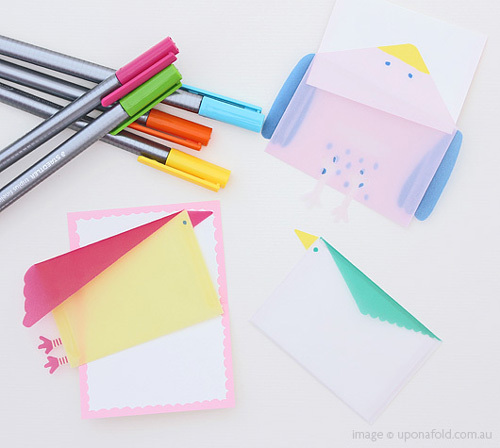 Each card comes with double-sided sticky dots so you can easily attach them onto a gift box or use them for scarpbooking. Available at Upon a Fold. 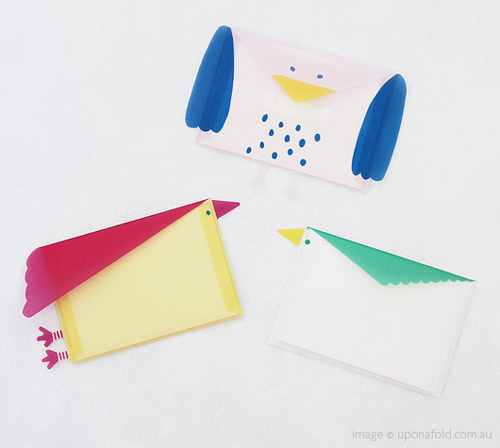 I love these bird envelope stationery sets. How clever and cute. 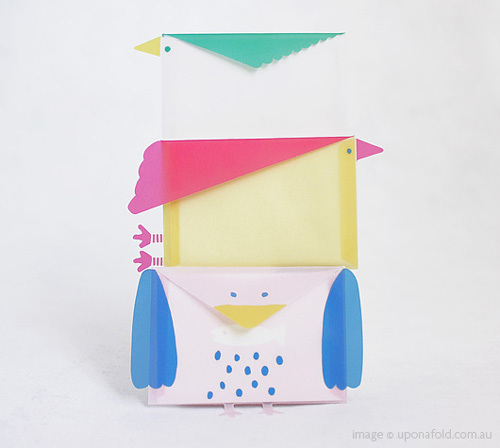 And Upon a Fold is one of my Asian stationery shops! Thanks for sharing!